Greenhouse roofing/ film requirements are easy to calculate. What is your greenhouse type? What is your bow spacing? Do you have vertical walls on the sides and did you want to do a roll up curtain? Material make of your greenhouse? PVC, steel, or wood? Would you like to speak to Ken Aguilar our resident SolaWrap expert? Mobile users please click the button. 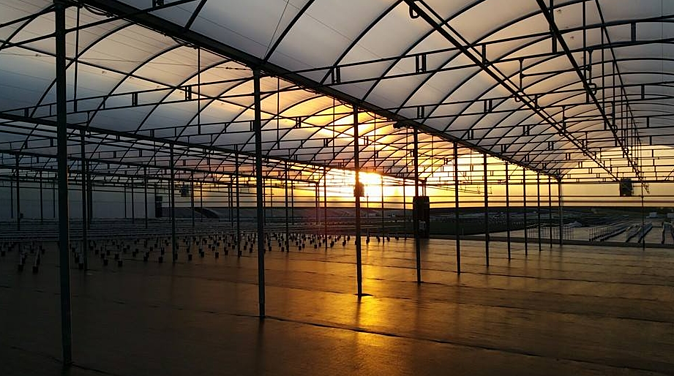 SolaWrap Greenhouse film has been used in Europe for 30 years and has just been introduced to the USA. Since it is new in the US we are working with reputable Universities to trial it in comparison to double blown poly, polycarbonate, and glass greenhouses. We feel that the results will be very interesting for the greenhouse industry as a whole. We have started also setting up some interesting trials with some major sized growers all over the United States! To Visit www.solawrapfilms.com, please click here.